Té alguna pregunta per a Soho Hotel? Si el que està buscant és per un hotel ben situat a Barcelona, no busqui més enllà de Soho Hotel. Tota l'emoció del centre de la ciutat és només a 0.0 Km. Per aquells de vosaltres que vulguin aventurar-se Vinalium, Next Level, Escuela de Baile José de la Vega són només algunes de les atraccions disponibles per als visitants. Soho Hotel també ofereix moltes instal.lacions per enriquir la seva estada a Barcelona. Per a la comoditat i comfort dels seus clients, l'hotel ofereix Wi-Fi gratuït en totes les habitacions, instal.lacions per a minusvàl.lids, Zones públiques amb Wi-Fi, aparcament de cotxes, servei d'habitacions. L'hotel compta amb 51 precioses habitacions, i totes inclouen televisió de pantalla plana, accés a internet (sense fils), connexió sense fils a internet (cortesia), habitacions per a no fumadors, aire condicionat. Durant el dia podeu gaudir de l'atmòsfera relaxant de piscina exterior. Gaudeixi d'incomparable serveis i d'una localització de prestigi a Soho Hotel. Es pot sol·licitar un bressol directament a l'allotjament. Please note that guests may use the hotel’s parking facilities for an additional fee which is to be paid directly at the hotel. Ubicacion, a 50 m de la boca de metro y de la parada del bus, a 100 m de la parada del aerobus. A 10 min. andando de la plaza de Catalunya. Más céntrico imposible. nosotros nos hemos hospedado en febrero y con frío, por lo que las instalacines de la piscina y el lounge no las hemos disfrutado, pero seguro que con temperaturas más agradable es un sitio increible para tomarse una cervecita. las habitaciones muy cómodas, espaciosas, todo automático y muy cómodo el armario,un colgador y unas estanterias con una cortina, nada de puertas. el wc separado con una puerta corredera del resto del baño y la bañera enorme. la tv de un tamaño lo bastante grande como para no tener que forzar la vista, como en otros hoteles donde ponen pantallas muy modernas, planas, lcd's, etc pero de apenas 20" y al final cuando estás tirado en la cama tienes que estar guiñando los ojos para leer los titulares. las puertas de las habitaciones son puertas de seguridad. la insonorización es estupenda, al igual que la calefacción, que funciona las 24 h. solo tienes que ajustar el termostato y listo. tienen una zona con varios ordenadores donde te puedes conectar a internet de forma gratuita, ademas del wi-fi gratis en las habitaciones. nosotros no teniamos ninguna comida concertada en el precio, por lo que no podemos opinar de la cocina, pero por todo lo demás es perfecto. Hotel de diseño pero con detalles poco practicos, como el sistema de iluminacion de las habitaciones,un caso concreto,si necesitas el baño durante la noche la persona que duerme es casi imposible que no vea interrumpido su sueño,pues la separacion del baño con la habitacion es una mampara de cristal con una cortina de gradolux que permite que la luz penetre en el dormitorio. Very bad lighting everywhere starting from the reception where lights pointing directly in your eyes. In the room, trying to be high tech in some points you end up without proper lighting on the wardrobe and especially in the bathroom mirror. The bath tab “design” was improper and all the water from the side wall was drained down the floor, even if we were very careful. Internet was loosing the data all the time, even if you press “remember me” so you have to connect all the time with the pass. Only one small side window was opening with an unusable balcony. How comes In Barcelona, the city of the world famous architects, this Hotel chose the worst? Breakfast was nice(except corn went bad), location was so great(quite walking distance to all attractions), and staffs were friendly, but the lighting is way too much dark in the room and hotel. Housekeeping starts too late around 4pm done. The staffs at SOHO hotel was amazing! I lost my wedding ring at my previous hotel in Madrid and it was a Friday when the following three days were all holidays. The staff at front desk made so many phone calls until he found one company that works on Saturday and does overnight shipping. I got my ring the next morning! The location of the hotel is also great, 30 seconds walk from the Metro station. Plenty of restaurants in walking distance. Nice Location to all sightseeing spots. Excellent buffet breakfast covered all types of food. I just love it. Room very modern. However, some bathing amenities worn out (e.g., shower, water sink). And some odour of pipling will create some nuisance. Otherwise, the hotel is perfect. Location: Overall great experience in this hotel. Location is really close to A1/A2 shuttle bus stop from airport and also near the metro station. Walking distance to city center as well. Great restaurant around the hotel. Plenty of convenience shop to buy drinks and food in the morning and at night. 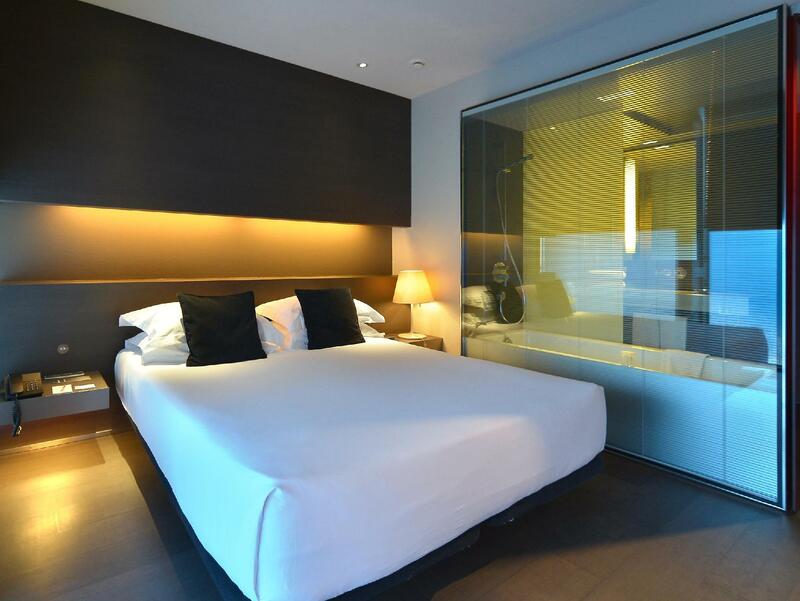 Room: Spacious, really clean but the room is a little stuffy with only 1 small window that can be opened in the room. Lobby: Please remove the light below the counter, it's really hard for us to look down staring straight to the LED strip light. I’ve stayed twice in the htl.there’s always some tickling sound in the room, I’m fine with it but not for my partner so not for light sleeper. Wish the htl reception would provide more security measures as room key needs to be left with the reception whenever we leave the room but to pickup the key we only need to tell room number, there ain’t any form of verifying guest name etc of room which I think should be rectify. We did d not like the shower. It was totallly see thru looking at the bedroom. No privacy. Also it was a little too dark. No colors. Small Hotel. Other than that it was just ok. Breakfast was good. Overall nice hotel. Good location. Overall quite comfortable room and bed. However the amenities provided within hotel room is limited by the "generosity" of providing extra bottle water for drinking despite staying there for 7D6N. I asked for another bottle but was told that it is not possible to get just one more bottle of water! Then came the concern of fraud possibly from hotel staff as I only used my credit card once in Spain since travelled out of my home country (which is for hotel deposit) and had fraudulent transaction two days later! First, the location is quite convenient. Hotel is near metro and busses, and neighborhood is easy for walking as well. However the bed was so low to the ground that it was really tough to get in or out of. Also, there was no place to put clothes other than leaving them in our suitcase. Staff was fine. Water gets onto the floor during showers, bit irritating to have a wet floor, but all and all, wonderful hotel, clean, spacious and great staff. 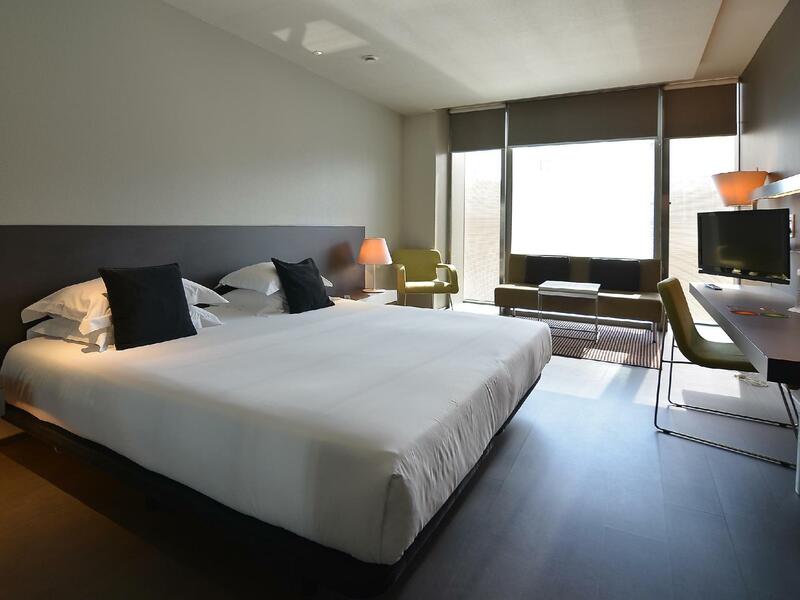 Great hotel in a fabulous location, next to a metro stop and 900 metres from La Rambla. There are numerous excellent rastaurants within easy walking distance. The rooms were modern and comfortable, the staff were friendly and helpful. It was also nice to be able come after a hard day seeing the sites and be able to go up to the roof terrace and take a dip in the pool. I recommend this hotel if you're visiting Barcelona. 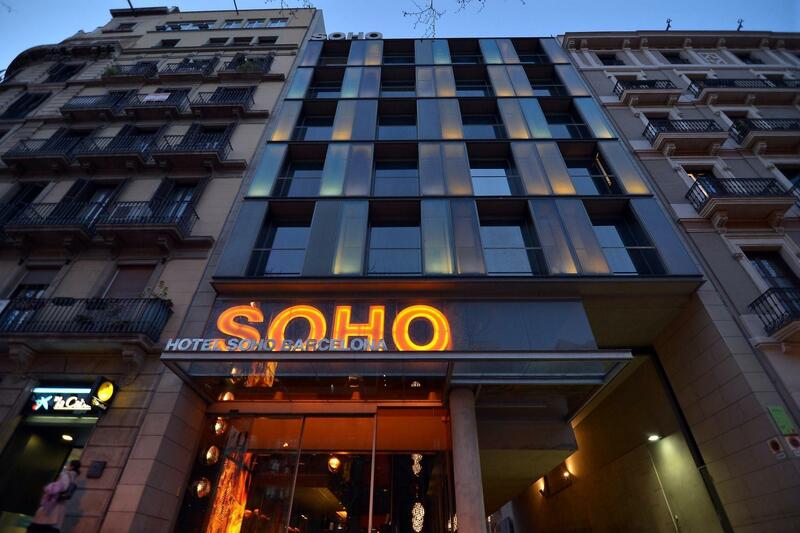 Accommodation in Barcelona is not cheap but at Soho the quality of accommodation and customer service of the staff ensures that guests will either return here or recommend this hotel to friends and family. Professionally run hotel! The fellow who works the front reception in the morning until about 3 PM was just so personable and outstanding. He was so helpful and you could tell how much he enjoyed his job. The gal in the afternoon not so much. Hotel is in a great location, about a 10 min walk from las ramblas with loads of shops, bars and restaurants near by! The staff were really helpful and the room was spotless and had everything we neeeded for a short break! The views from the roof pool are also great! Would defiantly recommend! 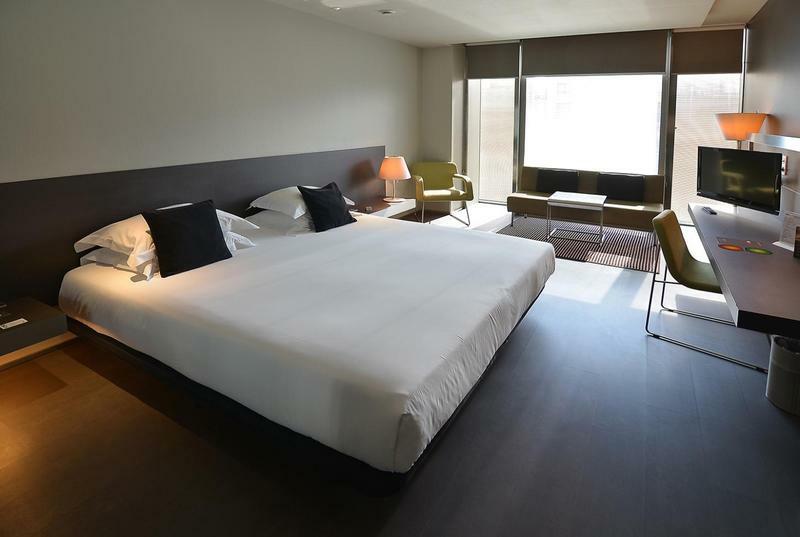 The hotel was conveniently located near the metro and a 5min train ride to the city centre. The bed and shower was the best we have experienced yet in our travels. The staff were very helpful and gave great recommendations for tapas bars/paella which were local restaurants and delicious (not overpriced tourist traps). Would definitely stay again.